Tyson Fury and Deontay Wilder seen here facing off in Belfast. It was a wild scene at the final Deontay Wilder vs. Tyson Fury press conference on Wednesday afternoon in Los Angeles, as the two heavyweight titans had to be separated during an intense face off. So crazy was the scene, as the two men jawed at each other, that Fury removed his shirt to show how serious he was. Wilder (40-0, 39 KO’s) vs. Fury (27-0, 19 KO’s) goes down on Saturday night, December 1st from the Staples Center in Los Angeles and SHOWTIME pay per view will telecast the big event. Speaking to the media about everything that has transpired in recent weeks, as well as at the final presser, Wilder seemed a bit on edge, but overall focused and happy to be here. Wilder, who was obviously animated after the intense stare-down, spoke on what he wants to accomplish. 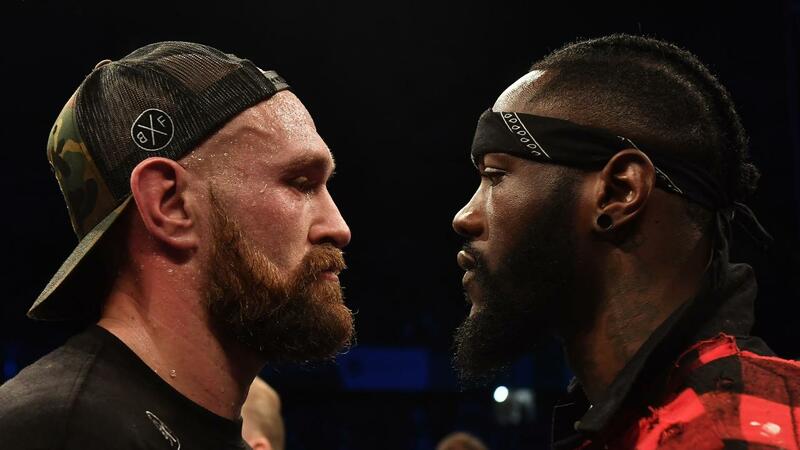 Wilder then questioned how much Fury really believes in himself heading into such a huge fight. Wilder believes that the intense work he put in throughout his training camp has helped to secure everything he needs for Saturday night. Wilder believes all of his weapons will be on display come fight night. What direction will Tyson Fury go in if he loses on Saturday?